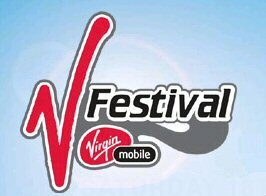 In 1996, a certain company foundered and run by Richard Branson open the doors of a music festival in a bid to rival the successes of the Glastonbury and Reading festivals that had taken the mantle of being some of the world’s best in the past years. No doubt this was a mammoth ask and task but Branson showed in his incomparable and charming style that nothing is impossible and has, since then, turned the V Festival into a very worth contender to the crown of ‘best British festival’ and continues to strive and out-do itself after every year. Annually staged in a sleepy little nook of Staffordshire and the bustling urban area of Chelmsford, Essex, V Festival boasts a veritable bevy of musical talent that makes the punter flock and ultimately rock to these proud and prestigious areas of England. Its birth was heralded in with the dulcet tones of Jarvis Cocker with his band Pulp headlining V96 and has grown from strength to strength since then. Now, in 2009, music coveters can drool over the prospect of headlining acts of The Killers and Oasis giving them more than a healthy helping of eponymous music to listen to. So, before you go rushing the V Festival website with all due haste, aplomb and vigour why not take time out to think what would make THIS visit to Vfest just that extra bit special. You visit these festival with your close friends every year but the feeling has become a little bit generic. You need something to spice things up and really heighten and accentuate the morale and excitement of what a music festival should be all about. So, how does the thought of you and your mates clubbing together and indulging yourself in the true VIP treatment grab you; and by this I mean dreamily arriving at the entrance to the festival deep within the unbridled comfort and luxury of your own black Hummer limo hire vehicle. I can see your senses and excitement have picked up an extra notch. Please let me elaborate. Instead of being squashed together and bogged down in lowly public transport why not relax with a glass or 3 of beer and blissfully melt into the plush leather interior that exist throughout our amazing limos. To break up the relative ennui of the journey that you may experience if we are transporting you from afar why not take along a couple of your favourite DVDs and play them on our exquisite plasma screens; there aren’t many vehicles that boast that luxury and excellence but you can definitely experience this kind of life inside our prestigious and beautiful pink, white or black limousines. If hummer limos are good enough for Mr Branson to travel about in, they are very much good enough for you, the fine and upstanding members of the community that you know you are. So, get on the phone and contact us here at Lux Limos where we’ll make your festival experience worthwhile.